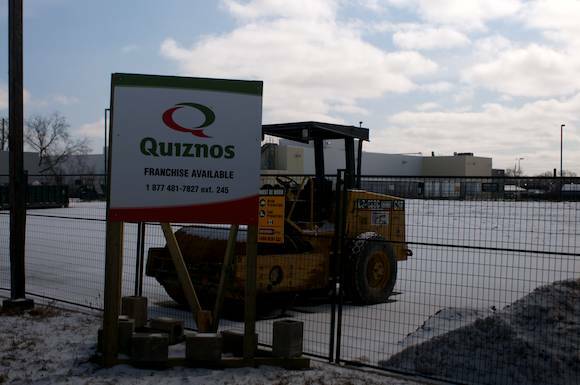 Anyone For A Quiznos Franchise In Peterborough? After the recent demolition of the building that was formally Rural Routes, a small shopping plaza is looking to take its place. It appears Quiznos sub shop is looking to re-enter the Peterborough fast food market after the previous two locations (one formally a few stores down where the current MacEwen gas station resides) closed down.